Nineteen-year-old Russian student Varvara Karaulova has been detained in Turkey after attempting to unlawfully cross the border into Syria. Media reports say she had been recruited by ISIS, with six countries on high alert and looking for her. “Varvara Karaulova has been detained on Turkish territory by the country’s Interpol authorities. The embassy has informed the parents of the student,” said Igor Mityakov, the Russian Embassy press attaché in Turkey, Tass news agency reported. Turkey’s Interior Ministry has confirmed the detention of Karualova, in Kilis in south-central Turkey, near the border with Syria. She is currently being held at a facility of Turkey’s National Immigration Agency. Pavel Karaulov, Varvara’s father, told RT by telephone that he felt relieved when the news came from Turkey that his daughter has been found and stopped while trying to cross into Syria. Karaulov said he had not yet had the chance to talk to his daughter, and was waiting for information from the Turkish police and immigration service. He said he was told he will be allowed to see her soon, but the place for the visit would be specified later Friday. Karaulova was studying Arabic and Islam in the Moscow State University. On May 27, instead of going to university, she flew to Istanbul, leaving a note for her parents. In the note, she just asked her mother to walk the dog, but her parents couldn’t get in touch with her, so the 19-year-old was declared missing. Karaulova also changed her name in WhatsApp to “Amina” and wrote it in Arabic script. 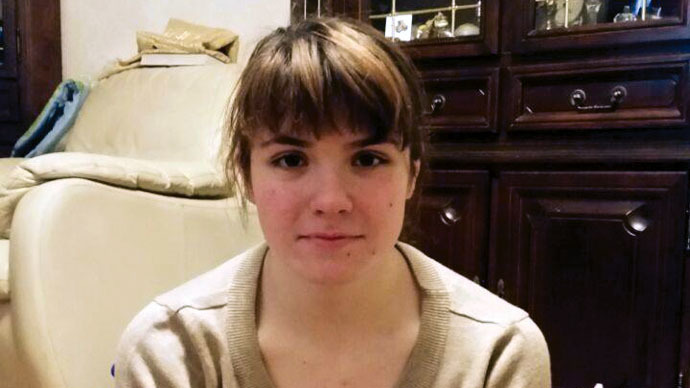 Russian investigators suspect she was recruited by ISIS. A lawyer for Karaulova’s family said that so far there is no confirmation that she has committed any crime. A Russian Interior Ministry source said that if Karaulova was indeed going to join ISIS, a criminal case could be launched against her. Vladimir Mironov, the dean of Moscow State University’s Philosophy Faculty, where Karualova is a student, said that so far there are no plans to dismiss her. She has missed May exams, however, and the university will demand an official explanation from her family regarding the issue.